Manchester United caretaker boss Ole Gunnar Solskjaer believes that his side have a good chance of causing an upset when they face Paris Saint-Germain in the second leg of their Champions League Round of 16 fixture at the Parc des Princes tonight. The Red Devils have the mammoth task of overturning their 2-0 home deficit in Paris to secure a place in the quarter-finals of Europe's top competition. The squad travels to the French capital with a deficit, a host of injuries and a suspended Paul Pogba, so, it's safe to say that Manchester United are not in a favourable position at the moment. Meanwhile, goals from Presnel Kimpembe and Kylian Mbappe during the first leg at Old Trafford helped PSG to secure a crucial advantage in the fixture and the French club will walk into the game as favourites to progress to the quarter-finals. However, considering the fact that Ajax were able to overturn their home deficit to win over Real Madrid last night, anything is possible. Despite the odds, Solskjaer remains optimistic and believes that if his side scores the opening goal, they may just have a chance. Speaking to Sky Sports, he said, "It is never mission impossible. Of course it is more difficult but we have got to get the first goal - and then anything can happen." "Yes, it is a technical and tactical game, but it is also a mental game. "Goals always change games. If we get the first one, we will be believing even more, and they might start doubting themselves. "But it is important we get the first one." 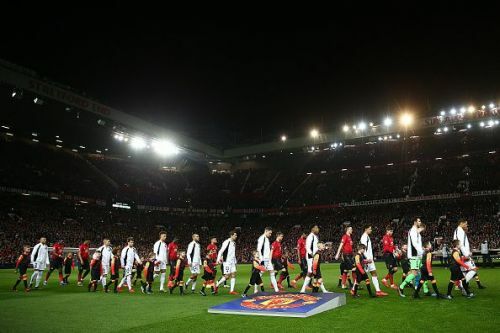 The interim boss added that the Red Devils would never approach a game with "a lost cause", stating that they have beaten a number of top clubs away from home before. "We will never approach any game as a lost cause. We put the pressure on ourselves that we can do this." "I think the outside pressure is off, I think everyone expects us to go out and go out easily - but that does not happen with Manchester United and Manchester United players. "We are hurt, I think our pride was hurt last time we played them. "So, we are going to see players that are going to give their all. "If we get nine or ten at least, playing up to the top standards, we have got a good chance. "The players have been fantastic away from home. "We've beaten Arsenal, Chelsea and Tottenham away from home, which gives us belief we can do this as well." Manchester United, who edged out Southampton 3-2 in the Premier League last weekend will take on French champions PSG at 1.30AM (IST) tonight.